Customer release is printed on back of hard copy. Standard conditions printed on the back of top copy. Available in 2, 3 and 4 parts. 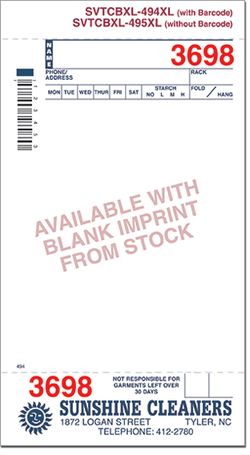 Add $5.00 per M for any custom printed barcode form. Size: 4 1/4" x 7 3/4"